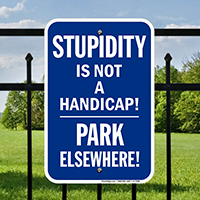 Handicap Parking Sign: Stupidity Is Not A Handicap!, Park Elsewhere! 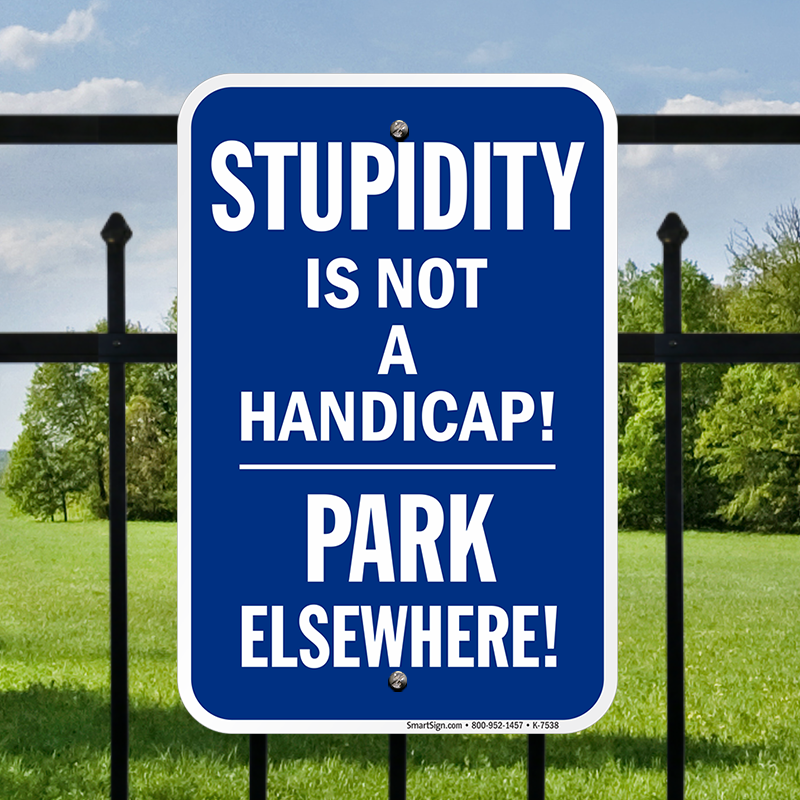 Legend Stupidity Is Not A Handicap!, Park Elsewhere! 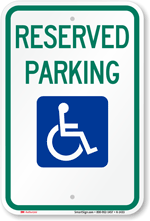 Bold signs get the message across effectively. 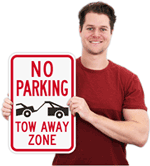 Install this bold sign to prohibit unauthorized parking in handicap parking areas. 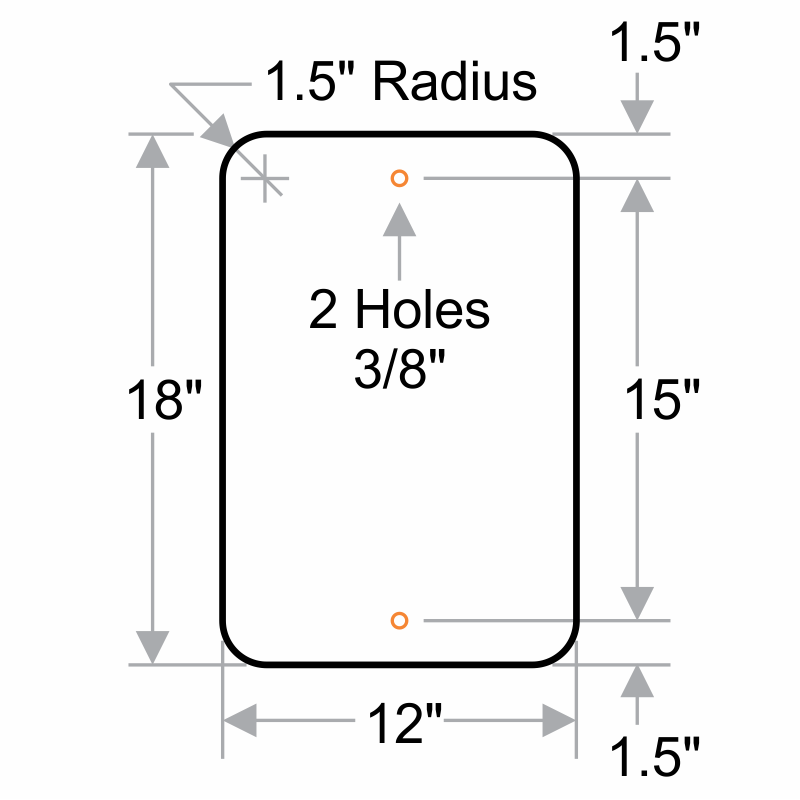 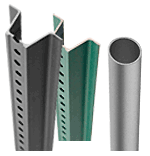 • Pre-drilled holes facilitate easy installation. 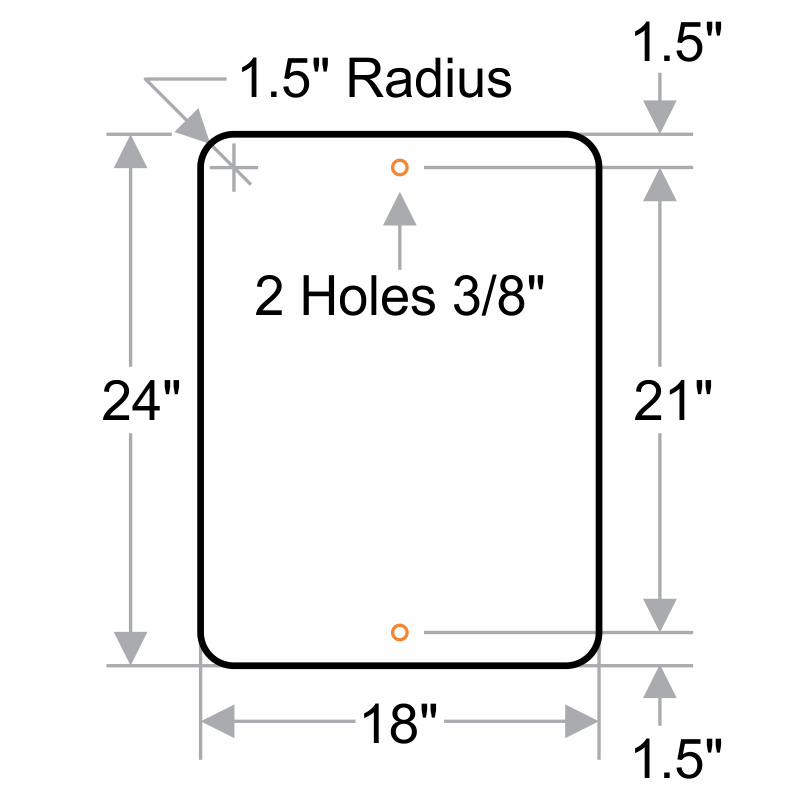 • Bold legends can be seen from afar.